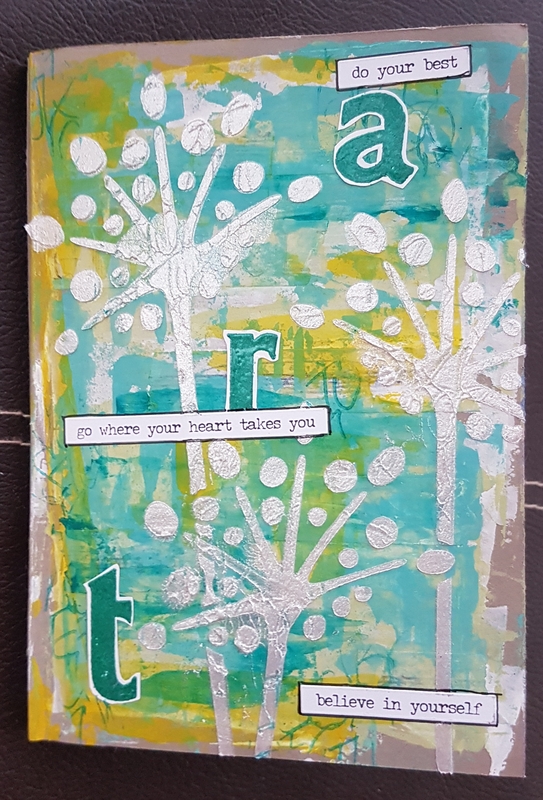 Time for a new circle journal round to start and this time we are making journals where envelopes are the feature. So here is my journal. 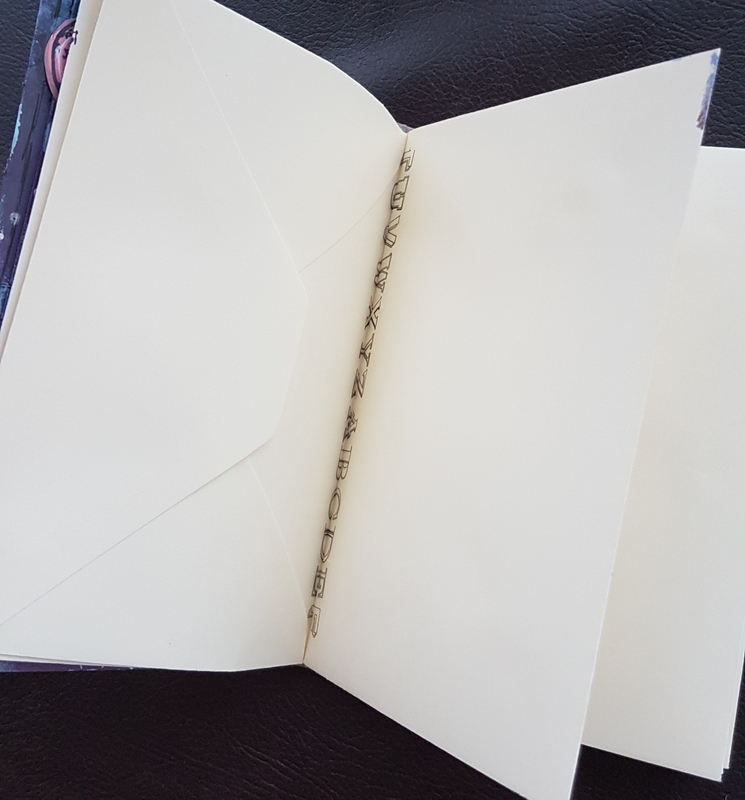 I used some cream envelopes which are 5×7 and stuck them together and then sewed it and added washi tape to the spines. 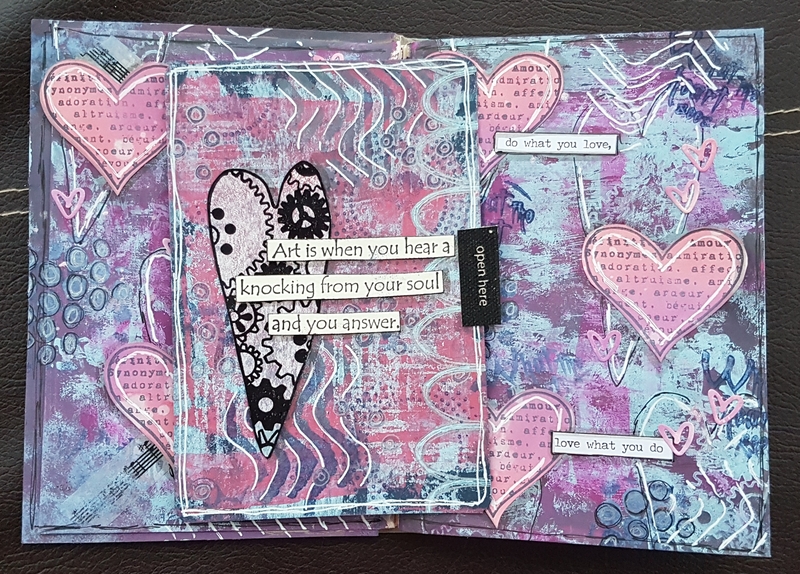 I then added a cover from some kraft cardstock and glued the inside of the journal and the cover together. Then I set to on decorating the cover. I used the fresco finish paints to lay down some colour and then added some stamping in the paint too. 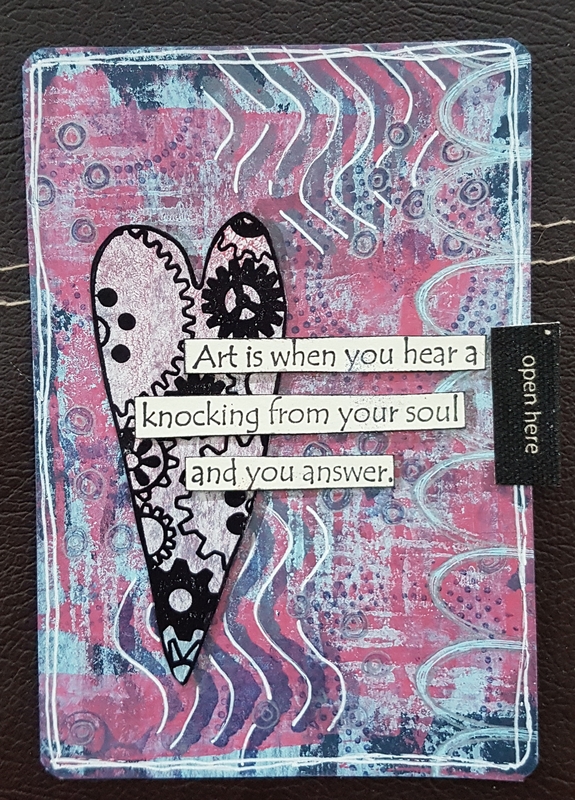 Then I used a Paperartsy stencil to add some iridescent medium. Then finally I added the title and the stickers. 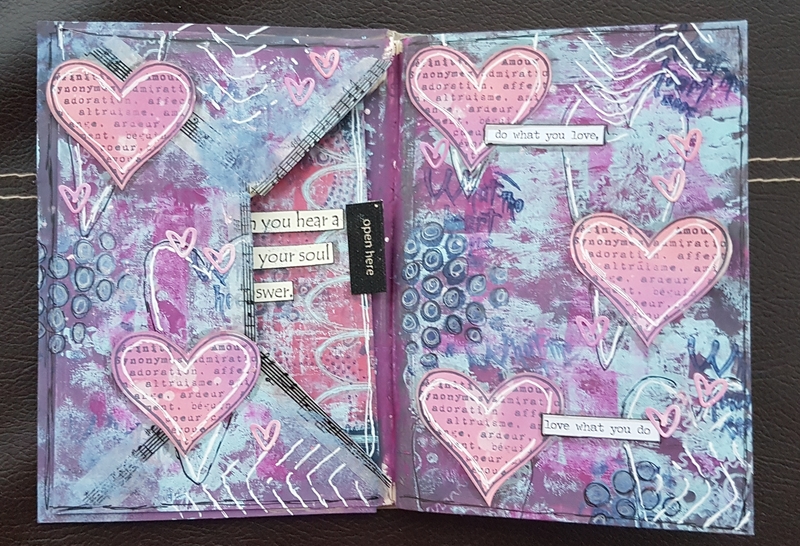 Then the inside page I went for a purple colour scheme. I also went a little Darcy heart crazy! Then inside the pocket created by the envelope I added a card onto the back of which I put my “rules” for the journal. So my journal is off on a journey to other lovely artists for the next year. Looking forward to seeing what happens to it and to receiving and playing in the journals I get.